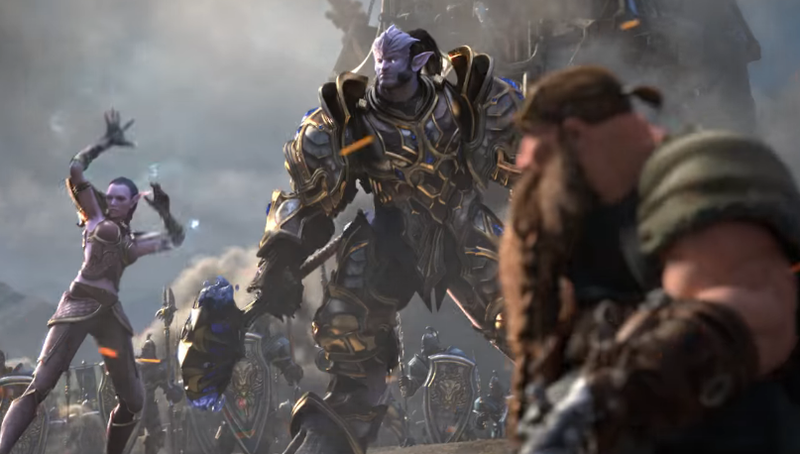 Battle for Azeroth Patch 8.1 ‘Tides of Vengance’ has boosted the performance of the MMO by up to 35% on AMD Ryzen CPUs, AMD reports. Battle for Azeroth’s most recent content update, patch 8.1, was released on the live servers back in December of last year. As reported earlier, this update includes multithreaded performance optimizations for clients using DX12, and while we mentioned performance boots by up to 25%, AMD’s Ryzen Desktop Product Marketing Manager, Erin Maiorino, now reports even greater performance gains. According to the Maiorino, the testing was performed by AMD performance labs on January 4, 2019 on the following system: MSI B450 GAMING PLUS Socket AM4 motherboard + Ryzen 5 2500X, 2x8GB DDR4-3200, GeForce GTX 1080 (driver 398.82), Windows 10 x64 Pro (RS4), Samsung 850 SSD. “In World of Warcraft: Battle for Azeroth at 1080p resolution with the settings Level “10,” the Ryzen 5 2500X achieved 43.2 FPS before the update patch, and 58.1 FPS after Patch 8.1 resulting in a performance increase of up to 35%”, she adds. “The Ryzen 7 2700X achieved 42.7 FPS before the update patch, and 58.2 FPS after Patch 8.1 resulting in a performance increase of up to 36%. RZ2-58”. A nice performance increase indeed for those using a Ryzen CPU. Have you witnessed performance gains following the 8.1 patch? What setup are you using. Hit the comments below.